Every year, I-75 leads millions of RVers from Canada and the U.S. Midwest to the warmer South. While there are countless things to see along this route, these 12 attractions are worth taking the exit for. Approximately 40 miles from the I-75 at Detroit in Grand Rapids, this iconic museum has undergone an eight-month, multi-million dollar renovation with new exhibits including rare artifacts, short films, interactive kiosks, and a replica of the White House Oval Office. Additionally, exhibits reflecting the life of First Lady Betty Ford is showcased. Heading south from Flint on the I-75 in Auburn Hills, RVers may want to visit the Polk Penguin Conservation Center. The facility spans 33,000-square-feet and was opened by the Detroit Zoo in the spring of 2016. What’s more, it consists of a 326,000-gallon, 25-foot-deep aquatic environment. 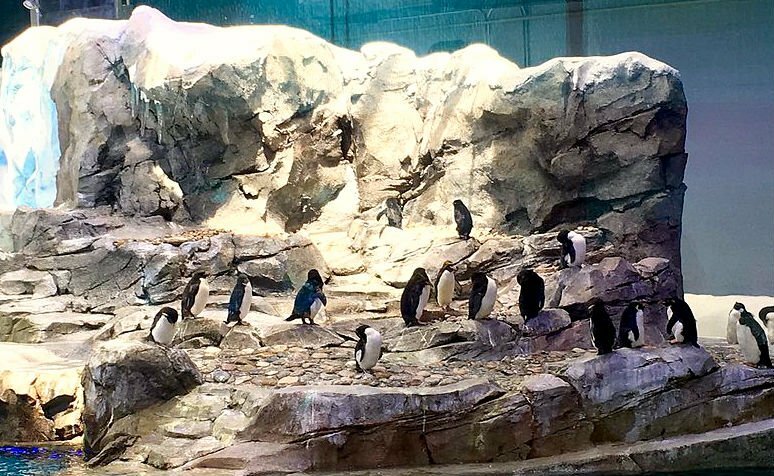 As a result, visitors can observe more than 80 penguins of four species in their habitat. For car aficionados traveling south through Flint, perhaps take a 90-minute drive off the I-75 to the Gilmore Car Museum in Hickory Corners. More than 300 vintage vehicles are on display across 90 acres and various new exhibits are held. In the past, they have showcased actor Nicolas Cage’s 1967 Ferrari 275/GTB 4, the race-inspired 1955 Mercedes Benz Gull Wing, and an authentic 1967 Shelby Cobra 427. 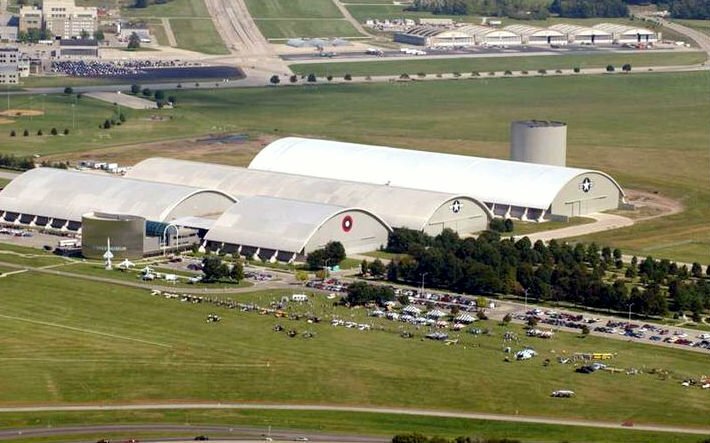 Located outside of Dayton, the National Museum of the USAF features the Space, Presidential, Research & Development and Global Reach Building with four galleries. These include experimental aircraft such as the delta-winged XB-70 Valkyrie supersonic bomber, the hypersonic X-15 rocket plane, and the YF-23 Black Widow II. Also, there’s The William E. Boeing Presidential Gallery, which displays aircraft once used by several U.S. Presidents. The National Museum of the U.S Air Force in Dayton now features the new Space, Presidential, Research & Development and Global Reach Building. Wine and culinary trails are not uncommon attractions in several states, but a Donut Trail? The communities in Butler County now offer such a route. Just 15 miles from the I-75, the route was finalized in January 2016. It consists of nine donut shops, each offering fresh, original creations. While not a new attraction, it just might be a new and exciting one for Airstream owners interested in learning how these iconic trailers are built. Approximately seven miles from the I-75, facility tours are available Monday to Friday and enjoy the ¾-mile walking tour to see production in full swing. If you feel like going off the beaten’ path on your way to a destination in the south (or when heading north back home), perhaps discover Amish Country in Holmes County in the northeastern part of Ohio. Camping opportunities are also plentiful in the state. The Ark Encounter in Williamstown is a life-size version of Noah’s Ark and constructed according to biblical dimensions. In addition to standing seven stories and being more than 500 feet in length, the Christian fundamentalist theme park has three decks of exhibits, an Ararat Ridge Zoo, daily animal shows, live entertainment, and a two-story restaurant. The Ark is just one mile from the I-75 at exit 154. The creator of sweet mash bourbon-whiskey and other spirits, Wilderness Trail Distillery opened a facility and visitor’s center in September 2016. Located in Danville, an hour south of Lexington and the I-75, the distillery houses the first craft distillery rickhouse in the state. RVers should take a detour along the Great Valley Wine Trail that highlights four award-winning wineries, including two family farms and two wedding venues, all with gorgeous views. 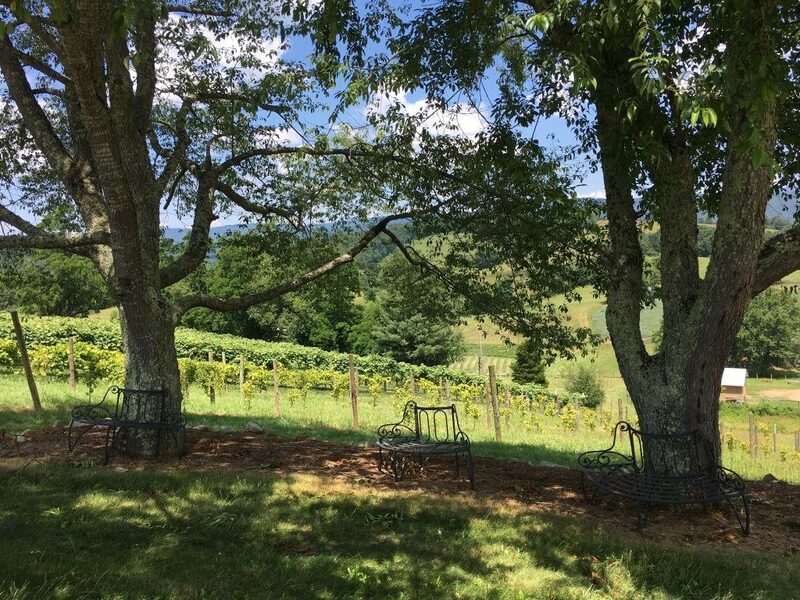 The wineries are each 30 to 75 minutes apart from one another, located along Interstate and winding country roads just north of Knoxville, TN. You can see the full map on their website. Enjoy spirited experiences at Chattanooga Whiskey Company’s Tennessee Stillhouse. This facility in Chattanooga has recently opened for tours and tastings. It’s just across the street from the Chattanooga Choo Choo Complex and tasting samples are available. While there are many things to do in Knoxville, pay homage to fallen of The Civil War. Especially relevant is the East Tennessee Historical Society Museum and Confederate Memorial Hall. Another attraction is the popular Market Square. 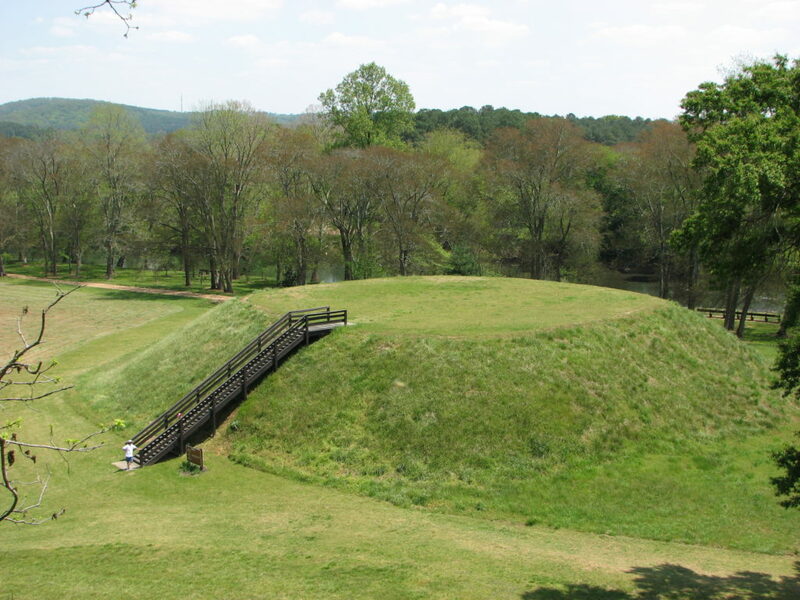 Located at exit 288 in Cartersville, RVers can visit the Etowah Indian Mounds State Historic Site. This is where they can explore the most intact Mississippian culture site in the Southeast. The National Historic Landmark was home to several thousand Native Americans and is now rich in artifacts. Additionally, this site spans 54 acres and includes six earthen mounds, a plaza, village site, and borrow pits. Georgia is full of experiences and one way to discover the richness of this region is to utilize trip planning apps like RV Trip Wizard and navigate a route along Highway 27. 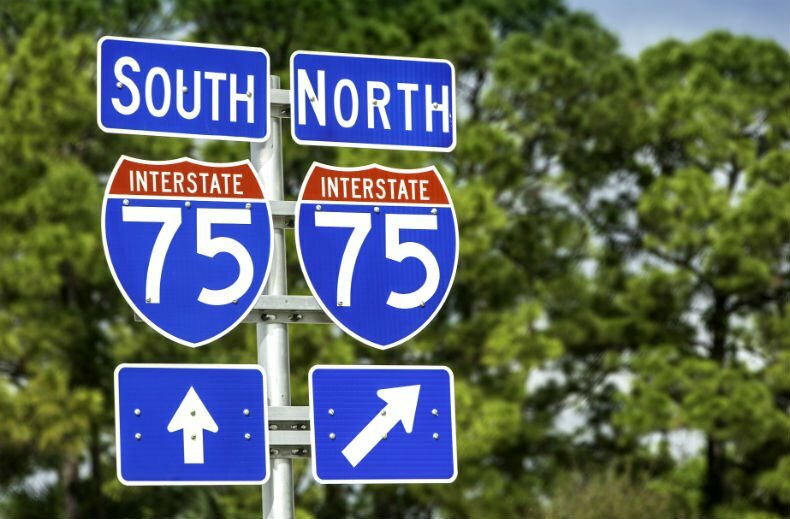 What’s more, the route runs parallel to the I-75 with camping options, rural southern towns, state parks, plus Civil War and military history attractions along the way. Just five minutes west of the I-75 at exit 142 in Fort Valley is Lane Southern Orchards, an ideal place to stop, shop, and savor Georgia’s sweet peaches. Once here, visitors here can experience the inner workings of a farm operation and enjoy The Peach Tree Café, on-site market, and seven-acre Corn Maze. Best to check the entrance prices of these places. I know the Ark was $40 per person last I heard from friends who have been there. 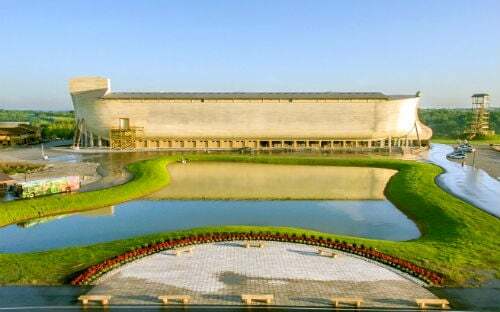 You will pay about that to enter the Ark and although I believed at the beginning that the cost was excessive, if you are interested in Biblical history in the least, you will leave after several hours amazed at the experience you have just been afforded. The first one listed in Michigan is wrong by stating it is about 40 miles from I-75 in Detroit. Mapquest has it being 147 miles apart. Grand rapids is clear across the state from I-75. About a 2 hour drive from Flint and 2 1/2 hours from Detroit. The GILMORE Car Museum, is just north of Kalamazoo, out in the countryside. I cannot think of any way that you could make the trip from Flint and I-75 to this location in 90 minutes. Again, this “Stop along I-75” is a very LONG ways from said highway. Don’t forget the Soo Locks in Sault Ste. Marie. The very northern beginning of I75. Also St. Ignace, Macinaw City and historic Macinac Island. North, south and a short boat ride east of the Macinac bridge. What about the Tellus Museum at exit 293 in Georgia? I live in the area and is visited 100 times more often than the Etowah mounds you mention!